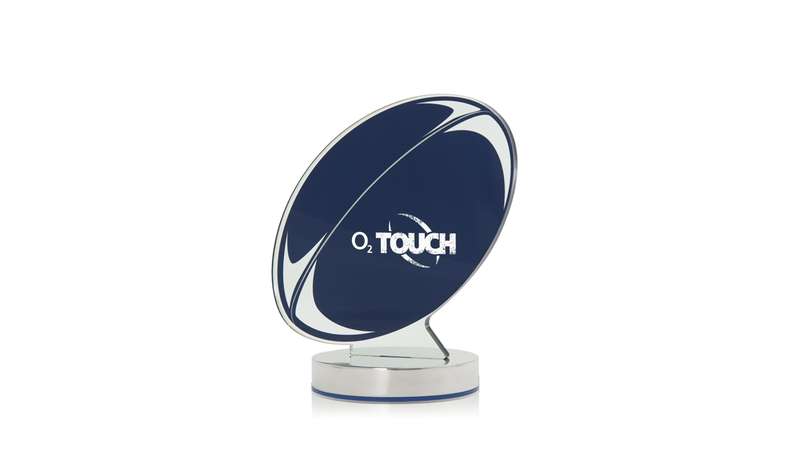 A trophy created for O2 Touch Rugby. 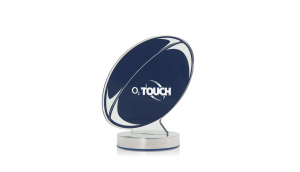 This award has been crafted from glass-effect acrylic, perched on a polished aluminium base. Feature detail has been added with blue acrylic to emphasise brand colours in a vibrant way.